We pride ourselves on delivering a quality service for you. We work closely with you to meet your aspirations. Each project is individually tailored to your requirements. We cater for all tastes from contemporary to traditional. Full & partial architects design services available: New homes, Home extensions, loft conversions, internal remodelling, Barn/pub conversions, Conservation areas and listed buildings. Commercial experience with industrial units, offices, car showrooms, retail parks, flats, doctors surgeries, hospitals, mixed use urban regeneration and Schools. Why choose Ian Blaney architect? Using a qualified architect is a worthwhile investment. 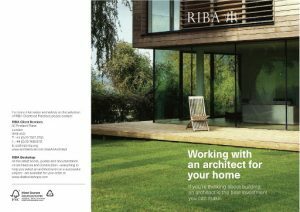 The benefits of using a fully qualified architect are outlined in the attached RIBA guide. Please click the image to view or download the guide.